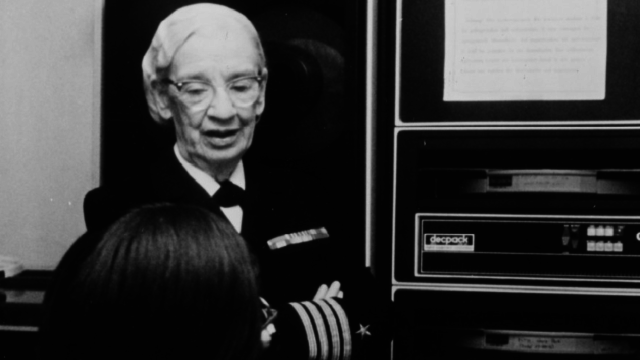 Rear Adm. Grace Murray Hopper, whose name is memorialized at San Diego’s Naval Air Station North Island, was awarded the Presidential Medal of Freedom posthumously by President Barack Obama during a White House ceremony Tuesday. In honor of Hopper, one of the 20th century’s most influential computer programming and data processing pioneers, the Grace Hopper Museum is maintained by the Naval Computer and Telecommunications Station San Diego and located in the Grace Murray Hopper Service Center, Building 1482, NAS North Island. The museum is a tribute to, and a look back at, the evolution of naval communications, including Hopper’s work. “If Wright is flight, and Edison is light, then Hopper is code,” President Obama said of the innovator who he noted was a gutsy and colorful woman who, when she joined the Navy was 15-pounds below military guidelines, yet attained a long and prosperous career. “While the women who pioneered software were often overlooked the most prestigious award for young computer scientists now bear her name,” he said, referring to the annual Grace Murray Hopper Award for Outstanding Young Computer Professionals, established in 1971 by the Association for Computing Machinery. The Presidential Medal of Freedom is the Nation’s highest civilian honor, presented to individuals who have made especially meritorious contributions to the security or national interests of the United States, to world peace, or to cultural or other significant public or private endeavors. Twenty-one recipients in total were honored Tuesday. “Today we celebrate extraordinary Americans who have lifted our spirits, strengthened our union, pushed us towards progress. I always love doing this event but this is a particularly impressive class,” Obama said. Born in New York Dec. 9, 1906, Hopper attended Vassar College, graduating in 1928 with a degree in mathematics before receiving masters and doctorate degrees in mathematics and physics from Yale University in 1934. In 1943, at the age of 37, she enlisted in the Women Accepted for Volunteer Emergency Service (WAVES) and the following year was commissioned and assigned to the Bureau of Ordnance Computation Project at Harvard University as a lieutenant junior grade. 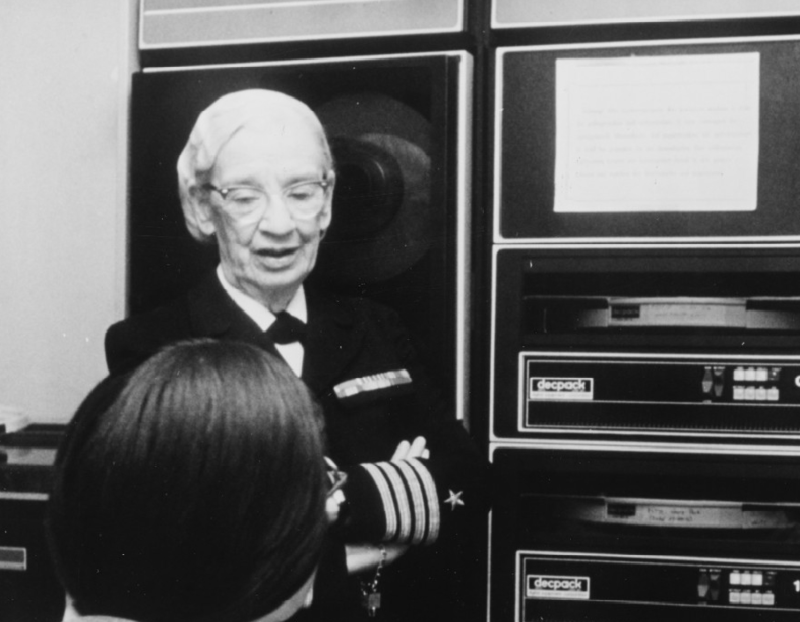 There, she completed groundbreaking work in computer technology, including producing a model of the electronic computer, the Mark I, and introducing the word “bug” to describe a computer malfunction, according to a U.S. Navy news release. Often referred to as the “mother of computing,” Hopper was instrumental in the creation of (Universal Automatic Computer) UNIVAC, the first all-electronic digital computer. She also invented the first computer compiler and founded a new program language that became a widely used framework for coding languages during the time. Hopper even forecasted the future of computers as being the compact, user-friendly systems they are today, the news release stated. Her achievements spanned a 43-year naval career — earning her the rank of rear admiral in 1985, a level reached by few females at the time, and adding her to the list of longest-serving officer — before officially retiring in 1989. She continued to work in the field until her death Jan. 1, 1992. In 1996, the destroyer USS Hopper (DDG 70) was named in honor of the legend and in October the Naval Academy broke ground on Hopper Hall, which will house the academy’s Center for Cyber Studies. Her other awards and decorations include the Distinguished Service Medal, Meritorious Service Medal, American Campaign Medal, World War II Victory Medal, National Defense Service Medal, Armed Forces Reserve Medal and Naval Reserve Medal. Hopper died Jan. 1, 1992 at the age of 85. She is buried at Arlington National Cemetery.